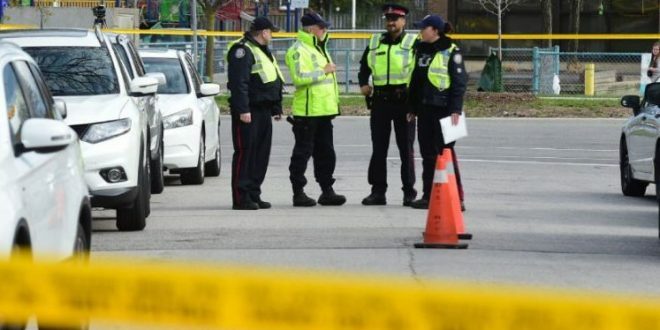 A 6-year-old boy has died after being struck by a vehicle in Scarborough Friday afternoon, Toronto police said. Const. Craig Brister told The Scarborough Mirror they received a call around 3:30 p.m. that a child and an adult had been hit by a car at Halfmoon Square and Canmore Boulevard, near Ellesmere and Conlins roads in Scarborough. Toronto paramedics said the child was transported to hospital by emergency run with life-threatening injuries. Brister said the boy later died in hospital. Initial reports said the adult was hit as well, but that may no longer be the case. Brister added the vehicle involved remained on scene. Canmore Boulevard, between Halfmoon and Parade squares, is closed for the investigation. Anyone with information is being asked to call police at 416-808-4300.